Last year I had first joined Yale University’s branch of THiNK, There’s Hope in North Korea, the group that I had addressed in my previous article. Thinking back to the year I joined, one of my first experiences as a member of THiNK was watching the documentary Seoul Train produced by Lisa Sleeth and Jim Butterworth. I knew that it left a strong impression on me as well as a bit of bitterness toward China, but rather than work from memory, I think that it is a better idea to take another look at the film itself. Seoul Train opens on a map of the Korean peninsula, North and South Korea. The shot changes to show the neighboring nations, China, Mongolia, and Japan. 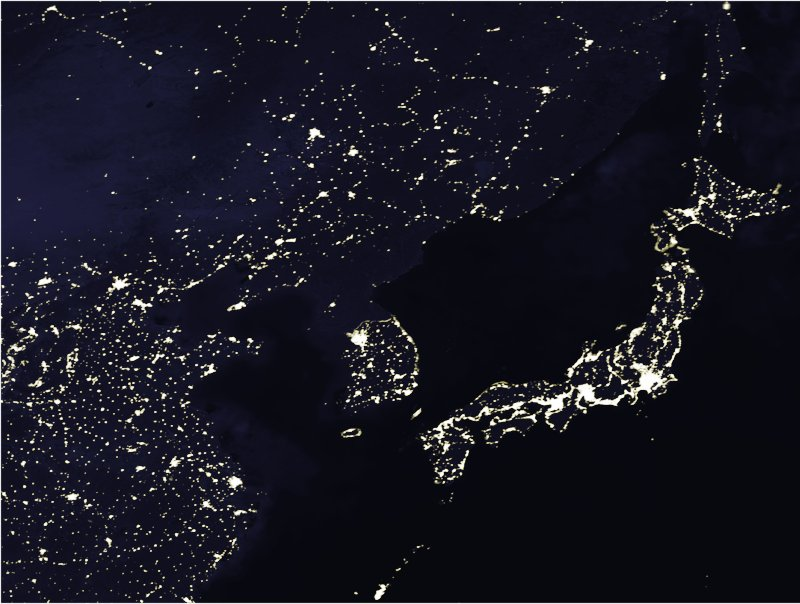 The whole East Asian Region is seen at night with the now infamous image of North Korea shrouded in darkness except for one speck, Pyongyang. As the traditional Korean music, Samul Nori, plays in the background, this caption appears: “Often described as the world’s largest prison camp, no country is more deserving of international condemnation on human rights than North Korea” (Human Rights Watch). The story unfolds. As the music continues to play there are shots of children without any shoes or looking for something to eat in the mud – there are images of refugees who have been caught by Chinese authorities and forced to repatriate – there are short clips of children who have been tortured while the captions bring us along the narrative: “the North Korean regime diverts international aid to party loyalists starving millions” who try to escape to the neighboring China where life is difficult because of the fear of deportation. The emotional imagery and messages within Seoul Train’s introduction set the stage for the argument the film conveys throughout the film. The documentary shares a few different cases: Chun Ki-Won’s group, Han-mi’s family, and the MoFa Seven. Each group attempted a different way to achieve freedom. Case 1: Chun Ki-Won attempted to lead the first group out of Yangji, China to Mongolia. 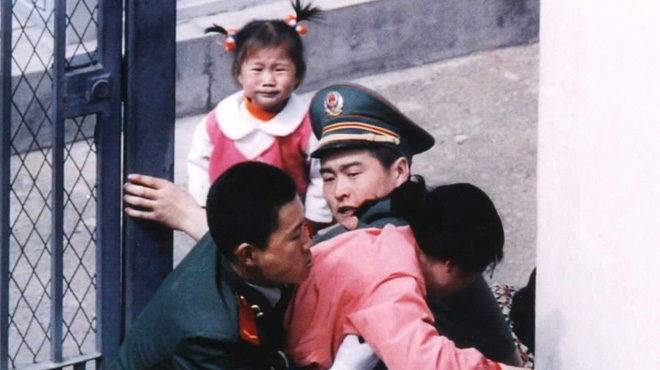 Before attempting to leave China, Chun made sure that each of them appeared healthy enough to be disguised as South Korean tourists since they had just escaped starvation in North Korea. Chun also made fake Chinese Identification Cards for the group of eight or so people. Among the group there is seventeen-year-old Sul-hee whose mother is attempting to escape with her to join Sul-hee’s grandmother who already resides in Seoul. There is also a pregnant woman amongst the other refugees. If she were to be sent back to North Korea, she would be subject to torture and forced abortion. If one among them were to get captured, the others must continue and make sure that they cross over to Mongolia. Case 2: Han-mi has five people in her family: her mother, father, grandmother, and uncle. They all escaped to China from North Korea but had previously been arrested and jailed in North Korea for reporting on the terrible living conditions there. Han-mi and her family checked into a motel right across the street from the Japanese Consulate so that they could familiarize themselves with the area and observe the routine of the police officers that guard the Consulate. They watched for when the security was loose and when the guard changed for three days to choose the most opportune moment to run through the Consulate gates to seek asylum. They would disguise themselves as ordinary South Korean tourists and walk casually toward the Consulate gates before the two men would push the police officers aside so that the two women and Han-mi could run through before them. Case 3: The MoFa Seven would attempt to achieve refugee status according to Chinese law. China often claimed that North Korean defectors were economic migrants not following the proper procedure, so the MoFa Seven dared to use the official channel by applying for political asylum through the Chinese government. In addition to completing a formal application, they prepared for their plea with signs, banners, and short individual interviews on why they wanted to be recognized as refugees and eventually leave for free lives in South Korea. While following the stories of these three groups, Seoul Train also explored the politics and circumstances surrounding the North Korean defectors – what brought them to China and what China does in response to the flood of defectors from North Korea. Marine Buissonniere, Secretary General of Doctors without Borders argues that the famine in North Korea, which had about three million victims, was not a natural disaster but a man-made disaster because Kim Jung-il and his officials created a system of discrimination based on the citizens’ proximity to Kim Jung-il and Pyongyang. Those on the periphery suffered. Because of this situation, defectors are both happy to leave in search of a better life and opportunity but also disheartened at the thought of leaving behind their own people. Thousands leave North Korea, but when they arrive first in China, they have yet to be free. They risk everything to get freedom, but China works to repatriate them although such actions go against the agreement with the UNHCR. Buissonniere feels that China is in a good position to understand what North Korea is experiencing today because it also went under many changes after the revolution. Buissonniere also argues that the Chinese government is not only trying to capture the refugees and repatriate them, but also to shut down their network systematically in the hope that taking down the network will eliminate the refugee problem. Buissonniere feels that China’s experiences with their own revolution would remind the Chinese officials that there is no boundary to hunger – regardless of national boundaries, if there is no food in North Korea, North Koreans will leave to find it. So, as Buissonniere asks, why does China not allow the refugees to leave for another country that might be more willing to accept them such as Mongolia if they are unwilling to offer them asylum? And why does China refuse to abide by the terms of the UNHCR? Seoul Train turns directly to the Director-General of the Chinese Ministry of Foreign Affairs, Kong Quan, to find answers to those questions. When asked if China will promise not to return North Korean defectors back to North Korea to be punished severely or executed, Kong Quan answered, “We will give appropriate resolution to the problem according to international laws and Chinese laws.” The next question asked about the reduction of asylum-seeking people while simultaneously communicating, “Some blame the growing trend on China’s refusal to accept asylum-seekers as refugees and for not allowing the UN High Commissioner for Refugees to work in the border area to deal with this problem in an ordinary way according to international laws and convention.” Kong Quan argued that the long border between China and North Korea has contact on both sides; therefore, they know that some enter illegally and every country addresses illegal immigrants without the assistance of the High Commissioner since they are not refugees. 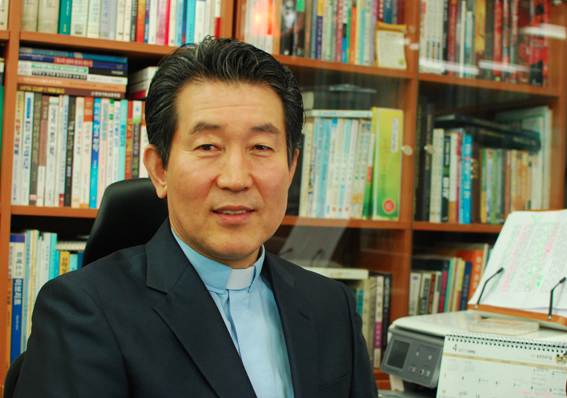 In opposition to Kong Quan’s argument, others assert that the defectors become political refugees because of the nature of North Korean law that considers defection a crime and the regime’s practice of severely punishing defectors. Others say that, instead of deciding for themselves whether or not defectors are economic migrants or refugees, Chinese officials should submit the case to the UNHCR and let the High Commissioner determine the status of the defector so that China can abide to the international agreement and, more importantly, so that lives may be saved. However, China is not the only one who should feel responsible for the growing refugee community. Many also wonder why the UNHCR does not address the issue more publicly and with more intensity. The longer the situation remains unchanged, the more the UNHCR holds just as much liability as the Chinese authorities. Without more international cooperation, more often than not we will hear of endings like the three groups that appear in Seoul Train. Case 1: Chun Ki-won and his group of refugees were arrested at the border between China and Mongolia. After they were arrested, activists organized a North Korea Human Rights Conference in Warsaw, Poland. They wrote a letter requesting the president of China to release all North Korean refugees and humanitarian workers seized by Chinese authorities for aiding North Korean refugees. However, Chinese officials refused the document. Eventually Chun Ki-won was released from Chinese prison after seven months and Sul-hee and her mother made it to South Korea through a U.S. Congressmen intervention. However, the rest of the group returned to North Korea by force. Case 2: Han-mi’s father and uncle ran through the gate of the Japanese Consulate without pushing the Chinese police officers aside. They left the women behind to struggle with the officers alone. They were supposed to be safe once they crossed the gate, but they did not make it. The women said that they would commit suicide before they would return to North Korea – a reflection of the extent of their desperation. The women were sent to jail after the incident, but all of the commotion at the gate of the Consulate caused for a huge crowd of spectators. Many photographs and videos of the incident were taken and publicized internationally. All the attention helped Han-mi’s family and enabled all of them to find freedom in South Korea. Case 3: The MoFa Seven tried to get their freedom through the government, but their banners and posters were pulled and ripped down; they were shoved, pushed, and carried away. Although their whereabouts are unknown in the film, those interviewed think that they were probably repatriated and ended up in detention centers or political prison camps. Though the situation with refugees seems to suggest the need for the collapse of the North Korean regime so that the North Korean people no longer have to struggle under the totalitarian government, it is not so. Seoul Train expresses that refugees should not be used as a political tool for the collapse of the regime; rather, one should hope that unification happens before the collapse of the regime because, without any prior intervention, anarchy would result. The collapse of the regime would produce millions of desperate people flooding into the neighboring nations for survival. If we do not work for the unification of the peninsula now, once North Korea opens up we may witness more who have suffered or died than we could have even imagined; moreover, we could be putting more at risk each day. This entry was posted in Articles and tagged asylum, Buissonniere, china, Chun Ki-Won, defector, detention centers, diana linton, Director-General of the Chinese Ministry of Foreign Affairs, documentary, Japan, Japanese Consulate, jim butterworth, kim jung il, Kong Quan, lisa sleeth, MoFa Seven, mongolia, north korea, political prison camp, seoul train, south korea, there's hope in north korea, THiNK, Underground Railroad, UNHCR, United Nations High Commissioner for Refugees, Yale by MOUonekorea. Bookmark the permalink.